South Africa All Time ODI XI: The Heavyweights: If sports were only about trophies, South Africa won’t make it to anywhere, thanks to their ODI history. Victories and trophies are sweet and they do mean something but surely they aren’t everything. 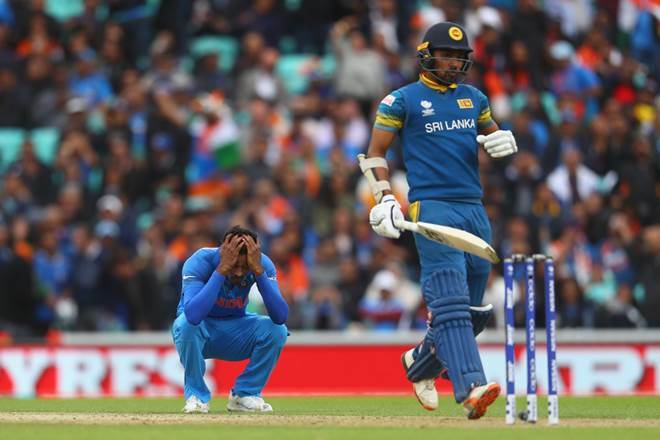 I fell in love with the wonderful game of cricket because it takes me through emotional roller-coaster ride each time I tune in to the sport. 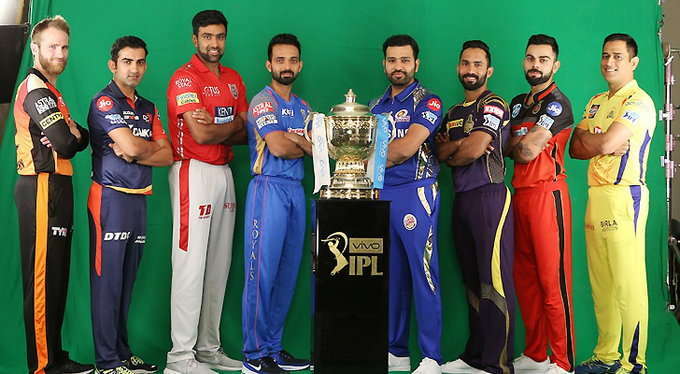 You love the game – for those adrenaline pumping moments that keeps you on your toes, for that beautiful cover/straight drive that delights your eyes, for that flying superman-esque catch that makes you rub your eyes and say – WTF, for that hostile spell of ultra-fast bowling that leaves you spellbound and a whole lot of things that isn’t a trophy. And there the Proteas earn the brownie points in ample. From Maritzburg Mamba; Jonty Rhodes to Mr. Superman; AB de Villiers to the White Lightning; Allan Donald, there’s just so much to love about this African nation. South Africa has a fire of its own. Playing hard brand of cricket without getting ugly comes naturally to them. 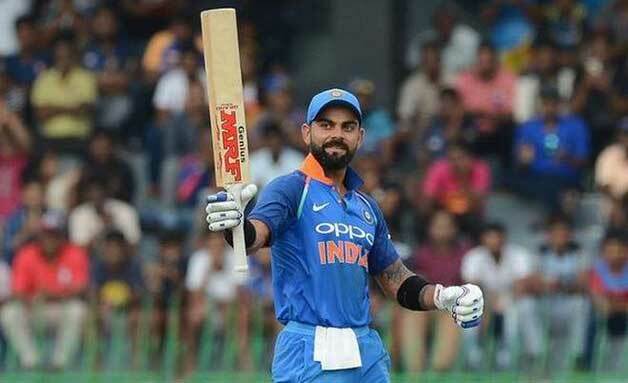 Be it champion batsmen, gun bowlers, or firebrand fielders, they have abundance of everything, and mind you, I haven’t touched their all-rounders yet. These days, Proteas are the numero-uno in ICC’s ODI rankings. And that compels us to compile South Africa’s all-time ODI XI, effectively combining their past and present stars to make up their best possible XI. PS: We can’t fit everyone in the XI, so with lot of pain had to leave out certain names. The stature and significance of Graeme Smith in South African cricket is way more than just his batting exploits. After the immoral deeds of Hansie Cronje shook the cricketing world and South Africa’s integrity, Proteas’ were in tatters. Shaun Pollock tried to restore the faith. But ultimately, it was South Africa’s youngest skipper; Smith, who brought about a sense of pride, normalcy and stability in their cricket. The southpaw helped his country scale great heights and led them to 50-over World Cup Semi-finals and quarter-finals in 2007 and 2011 respectively. 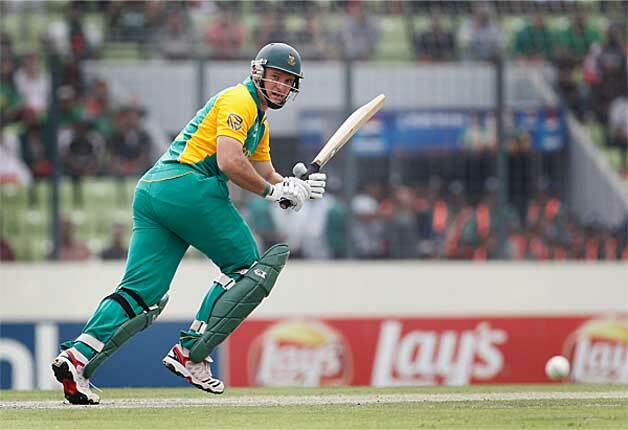 In 197 ODIs, the muscular South African scored 6,989 runs at 37.98 with 10 centuries and 47 half-centuries. 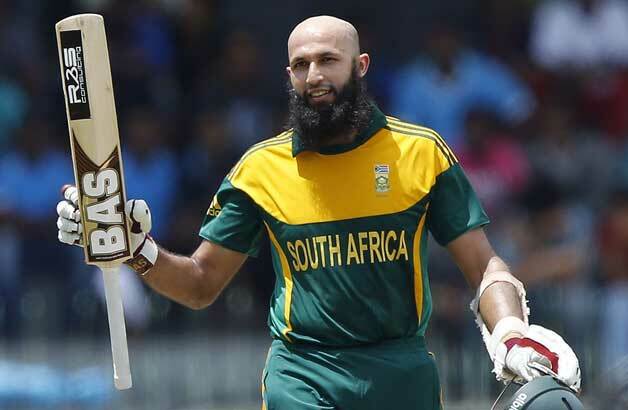 With an average of 50 and accumulation of 24 centuries in 147 ODI innings, Hashim Amla is one of the most prolific batsmen to have played the game. Amla is sheer bliss on the eyes and makes cricket look ever so easy with his delightful stroke-play. His classical cover drives and wristy flicks are fine piece of art. The South African opener has so far stroked 6,880 runs in his career. 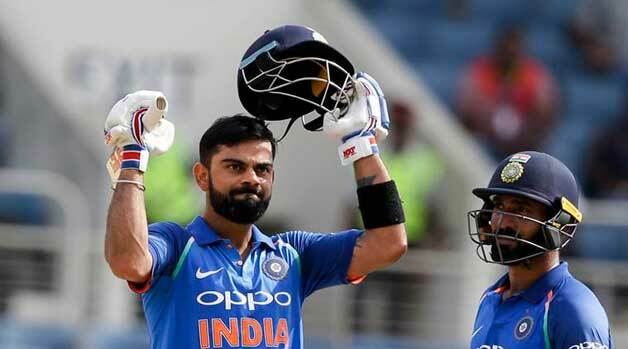 Currently, there is a rapid race going on between AB de Villiers, Virat Kohli and Amla, for different batting records. But Amla is having the last laugh when it comes to racking up runs in least innings as the seasoned campaigner is the fastest batsman to 2000, 3000, 4000, 5000 and 6000 ODI runs. 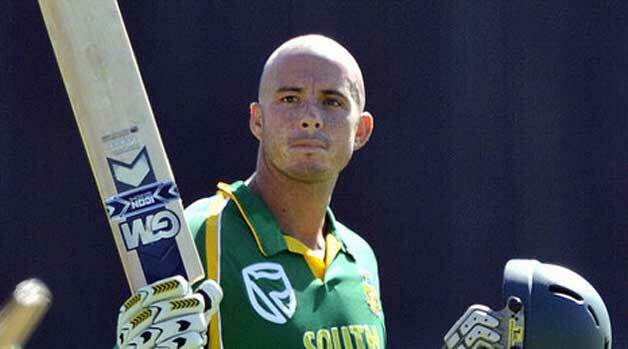 Originally, an opening batsman but Herschelle Gibbs would be as good at no.3 due to his aggressive style of batting. The Cape Town-born batsman was an outright match-winner who played fearless cricket and amazed lot of eyeball with his maverick shots. In 2006, his epic 111-ball 175 run-knock chasing 435 at the Wanderers helped South Africa clinch a one-day series against Australia. That innings of Gibbs would remain an unforgettable experience for cricket lovers. In 240 innings, the right-hander walloped 8,094 runs at 36.13 with a strike-rate of 83.26. Gibbs has 21 centuries against his name. The controversial batsman won 22 Player-of-the-Match awards in his career. He is also counted as one of the best fielders produced by the rainbow-nation. Jacques Henry Kallis is not a name rather an institution itself. Kallis was an ODI player, every team craved for. He was a classical batsman who was known for his consistency and grit. The best part about Jacques was that he was someone who could easily bowl 10 overs on immaculate line and lengths and capture big fishes. As a batsman, Kallis was rock-solid and was master at holding up the innings from one end. But in latter half of his career, he turned quite good at getting boundaries in slog-overs as well. A veteran of 328 ODI games, the colossus batsman scored 11,579 runs at 44.36 and took 273 wickets 31.79 with the ball. He remains one of the greatest all-rounders of the modern era. Here comes another heavyweight from the land of South Africa, AB de Villiers, who is arguably the best ODI batsman of all-time. AB was always a fine player but in last 3-4 years, his reputation boomed and from a good player he turned into the most dangerous ODI player of the world. When De Villiers starts going hammers and tongs, he seems to have arrived from a different planet for the sole purpose of destructing the bowlers. 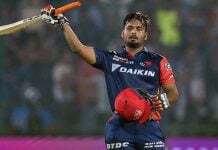 Some of his innings like the fastest ODI century against West Indies or century at Chennai on a turning track testify his mettle and class. 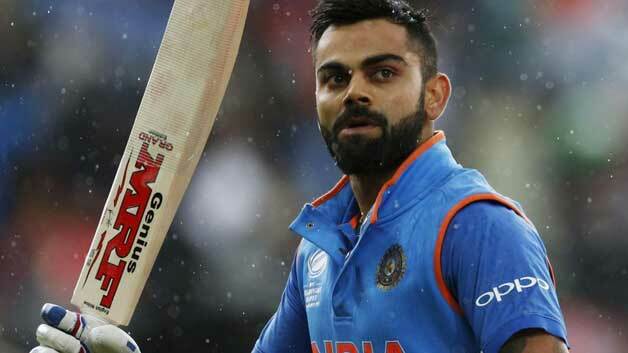 In 207 innings, the 33-year-old batsman has thwarted 9,175 runs at 54.28 with a strike-rate of 100.16. 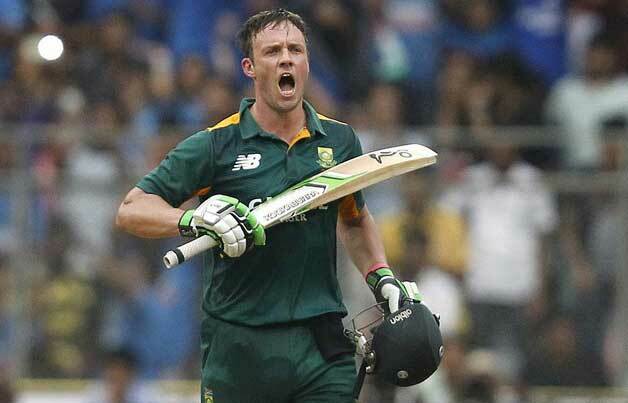 ABD has 24 centuries up his sleeve. We all know how good an opener Quinton de Kock is, but still when compiling an all-time list; you can’t leave out certain players of their batting position. 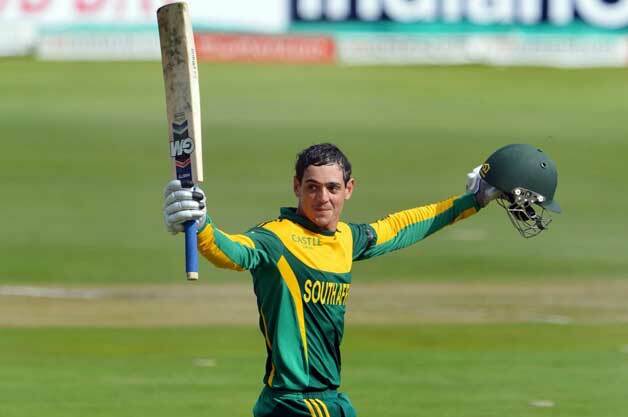 The kind of cricket De Kock plays; he can be a very apt finisher too and hence gets the no.6 slot in our list. The blasting batsman is still very young in his career but it hasn’t deterred him from making a name for himself in international cricket. The Southpaw is a very attacking player and possesses all the shots in the book. His youth and fearlessness make him a precious jewel for Africa. 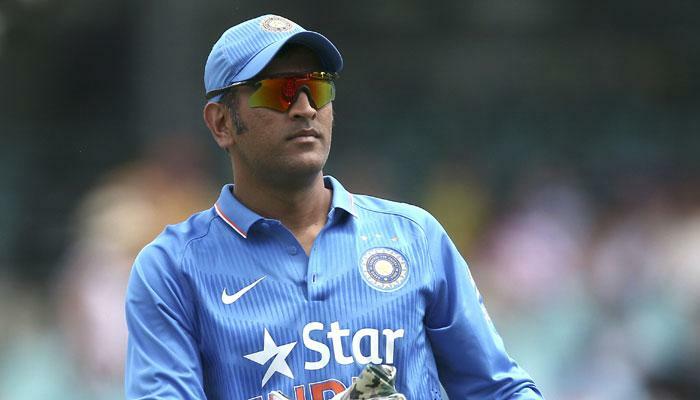 In 79 matches, the 24 years old has blasted 3,273 runs at 43.64 with a strike-rate of 95. The left-hander has made 12 centuries, so far. 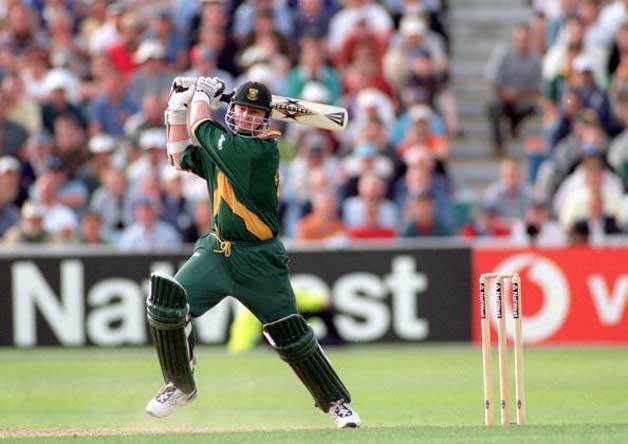 The Durban-born all-rounder; Lance Klusener is one of the most impactful players to have represented South Africa. 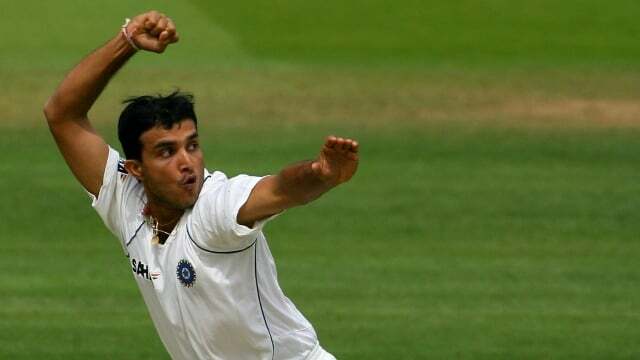 The left-hander was steely nerved and his performances in pressure-cooker situations made him a very skillful finisher lower-down the order. Klusener also had very deceptive cutters that made him a tricky bowler. 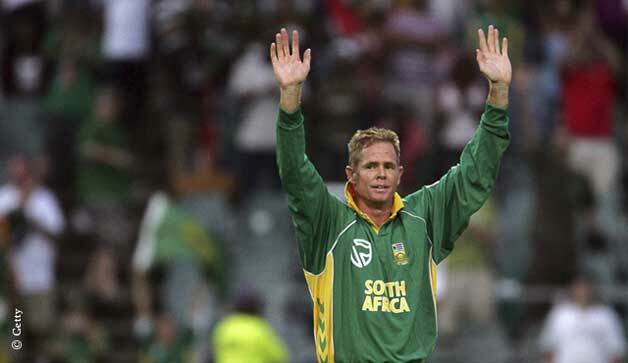 Nicknamed Zulu, Klusener hit gold at the 1999 World Cup where his heroics almost sealed South Africa the finals. Unfortunately, Proteas lost the game. But Lance was named Man-of-the-Tournament and got a call from Nelson Mandela for his outstanding performance. In 137 innings, the hard-hitter hammered 3,576 runs at 41.10. Most remarkably his strike-rate of almost 90 was quite a revelation during those times. Klusener also took 192 wickets at an average of 30. Shaun Maclean Pollock was a bowler par-excellence for South Africa. Son of respected Peter Pollock and nephew of the great Graeme Pollock, the Cape Province-born pacer went on to become the leading wicket-taker for his nation across formats and the best cricketer among his family. Pollock scalped 393 ODI wickets in 303 matches at 24.50 with an economy of 3.67. In second-half of 1990s, he turned out to be a perfect foil for Allan Donald and both formed a cutting-edge new-ball bowling pair. Shaun was a bowler who could move the ball both ways though his forte lied in maintaining accurate line and lengths without breaking a sweat. He was decent with the bat too and scored 3,519 runs at 26.46. Nicknamed the White lighting, Allan Donald was a fearsome fast bowler who created ripples in the opposition camp with his hostile piece of bowling. The kind of pace he generated, when coupled with his ability to sharply move the ball both ways, made him a match-winner for South Africa. Many term him as the biggest factor for South Africa’s success post Apartheid era and creator of the fast bowling legacy in the rainbow-nation. In 164 games, Donald captured 272 wickets at a brilliant average of 21.78. In 1990s not many would have imagined that a black guy from a small village in Cape Province; Mdingi, would go on to become one of the premiere fast bowlers in the world. But Makhaya Ntini achieved the unthinkable and that makes his story nothing less than a fairy tale. From being the first international black cricketer to becoming an ambassador for his community, Ntini etched his place in folklore of South African cricket in golden letters. 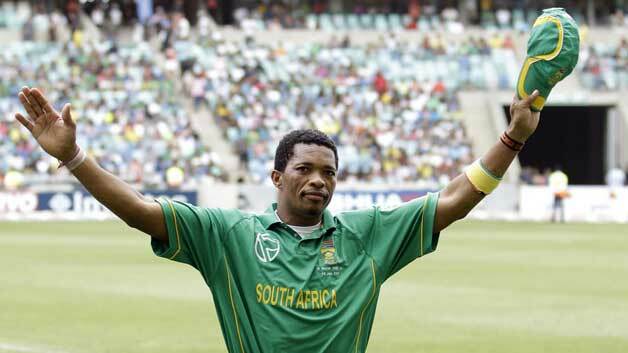 Ntini was a workhorse and had the ability and supreme fitness to bowl relentlessly. In ODIs, at times he was expensive but on his day, he was a fatal for batsmen. In 173 games, the fast bowler took 266 wickets at 24.65 with his best figures of 6/22 coming against Australia. The Pakistan-born leg-spinner Mohammad Imran Tahir has been South Africa’s leading ODI wicket-taker in last five years. To take wickets with such consistency speaks volumes about Imran’s skills as a leggie. Tahir has all the magic tricks up his sleeve and makes brilliant use of googly, flippers and sliders apart from traditional leggies. He is the captain’s go to man and is often responsible for trapping the big players. The 37-year-old has played 74 ODIs and taken 127 wickets at 23.65 with an excellent economy of 4.63 and is the most successful spinner from South Africa. ** ALL STATS ARE UPDATED TILL 21ST MARCH 2017.